Have a relaxing stay thanks to our various activities for young and old proposed at our campsite. Enjoy this soothing natural environment on the seaside. No need to take your car! If you wish to chill out, entertain yourselves or eat a good meal, you will find services and equipment in our campsite that meet your needs ! In front of the campsite : a long sandy beach offers you numerous leisure activities during your seaside vacation. 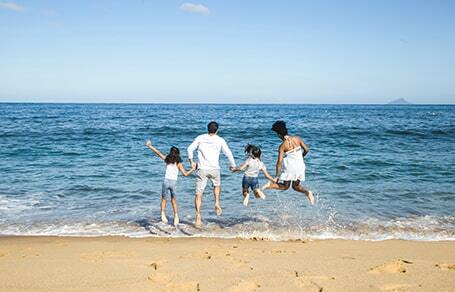 Bathing, beach games or sand castles, share great moments with your children. At low tide, go shell fishing and be amazed by the many seashells and crustaceans of our Norman coast ! Horse riding on the beach is possible in high season. 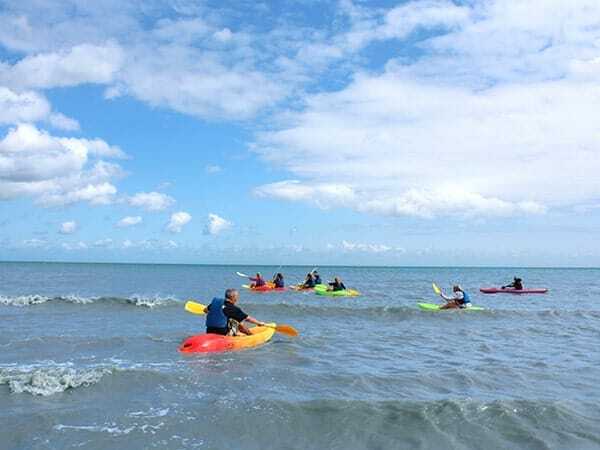 Try new activities like sea walking, kayaking or standup paddle boarding. 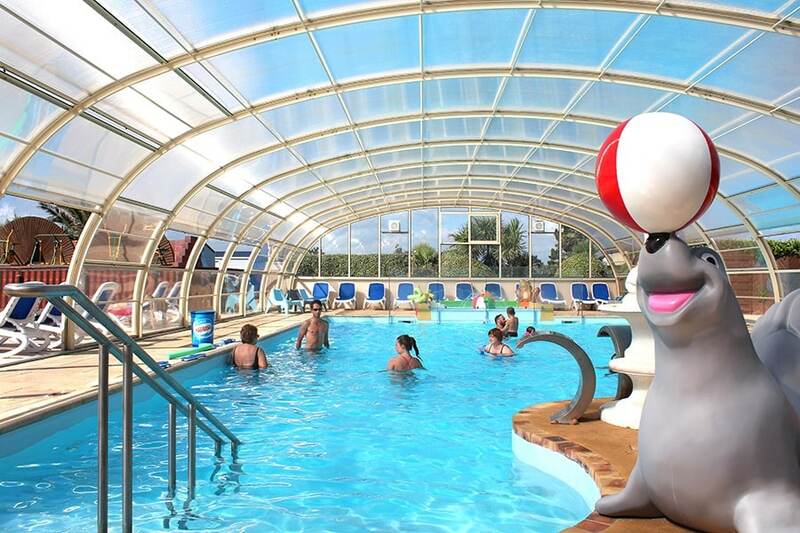 Among the many leisure on site, our water park is indispensable to your stay ! Our covered swimming-pool is warmed from the opening to the closing of the campsite and includes a secured paddling pool with water games for younger children. To relax, a bubble bath and a sauna are available. Enjoy the sun in our warmed outdoor basin with his playful and colorful children’s pool.. Play areas, go-karts, mini-farm… your children will be pampered at the campsite Le Cormoran. 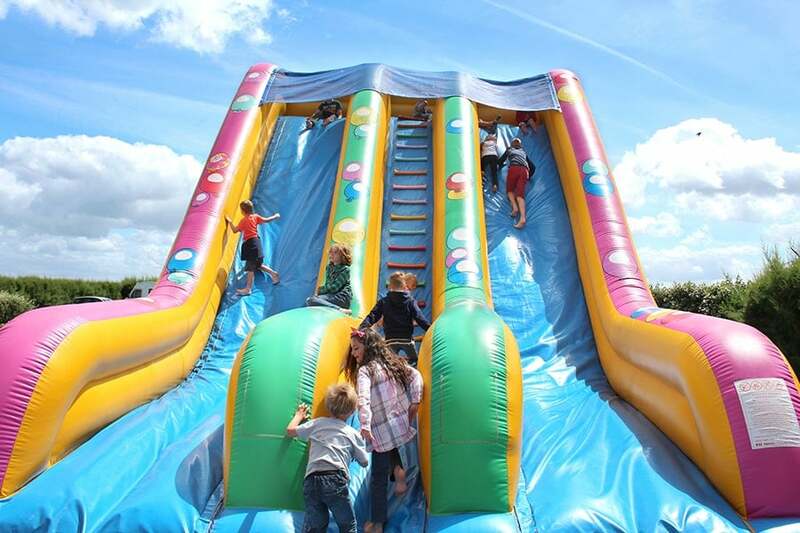 Complete game spaces with climbing structures, zip line, Super nova ring, also trampolines and bouncy castles. They will race in the driveways of the campsite behind the wheel of our go-karts or meet the small goats and chickens of our animal park. 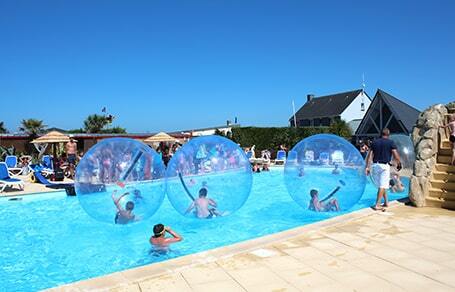 In high season, the kids club reserves them a full range of funny and sport activities. Boost your holidays participating in our sport activities: great mood guaranteed ! All season long our sports fields are at your disposal for happy games with family or friends : football, Homeball, basket-ball, tennis or boules. Test your abilities on our billiard-golf courses. Play table tennis or Arcade games in the playroom. 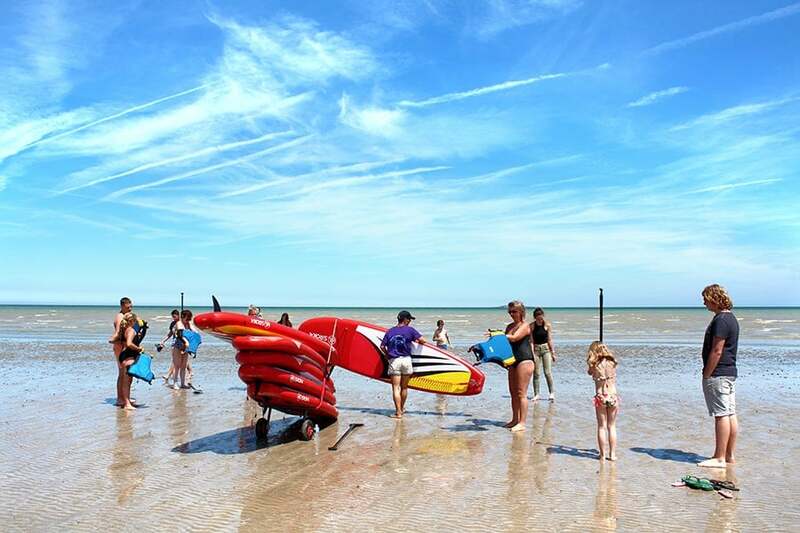 In high season, supervised water activities are organized by a monitor on the beach in front of the campsite : kayak, paddle and sea walking. Keep fit to music with our fitness and dance lessons : country dance, Zumba, cardio biking, body-boomers and aqua-gym. 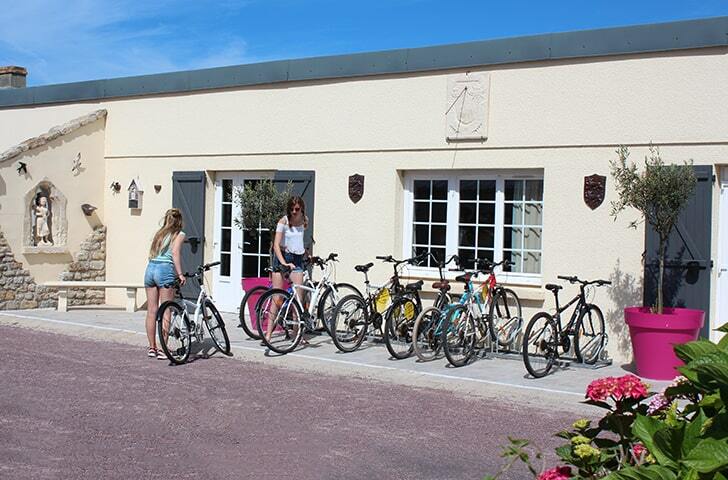 Or rent our bicycles and go for a hike along the coast from the campsite. 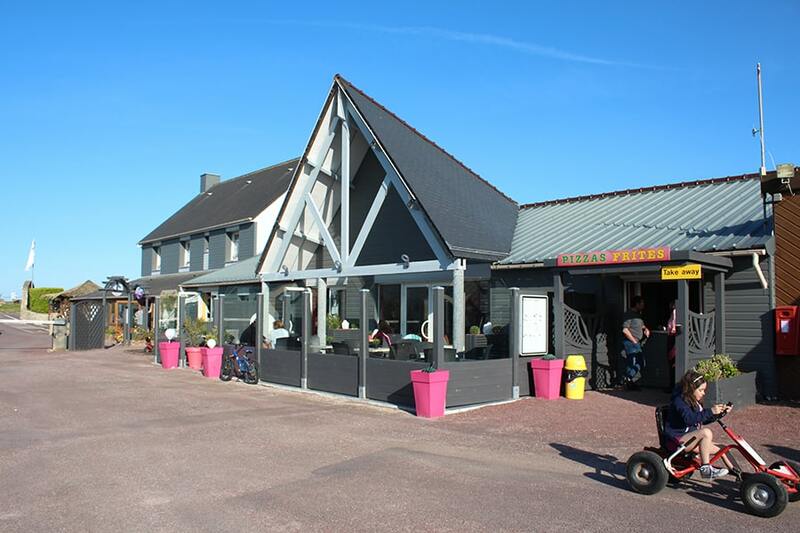 The campsite has a well-stocked grocery with fresh and frozen products, fresh bread and pastries every morning for your breakfast. Our snack-bar proposes you take-away meals like homemade pizzas and French fries. In July and August, a small market settles all week long at the entrance of the campsite. Greengrocer, roaster, fishmonger, cheesemaker and butcher provide you with their fresh local products. At the end of the day, take part in the friendly “paella parties”, “crepes parties” or “ice cream parties”. Spend peaceful holidays in our 5 star campsite. Come to relax in our bar with an outdoor terrace or taste some delicious grilled meat in our giant barbecues. By appointment, a beautician and a hairdresser take care of you. Enjoy, you are in good hands! 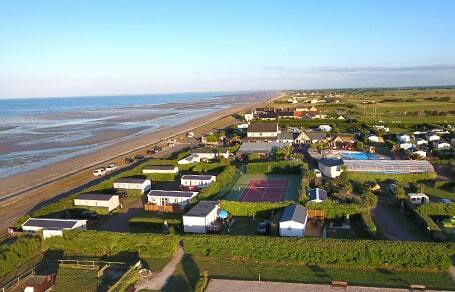 Browse our pictures & videos and visualize your holidays on our 8-hectare campsite. Le Cormoran won’t have any secret for you! 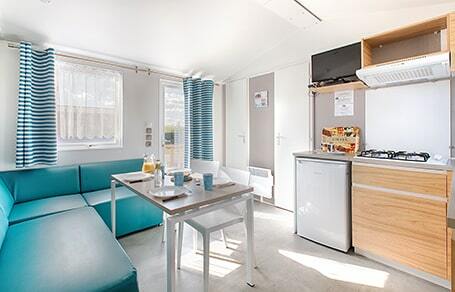 Stay on our pitches with your tent, caravan or motorhome, or choose among our holiday rentals: mobile homes, chalets, wild west wagon or Tithome. When summer holidays arrive, summer activities also begin to enjoy all the family. 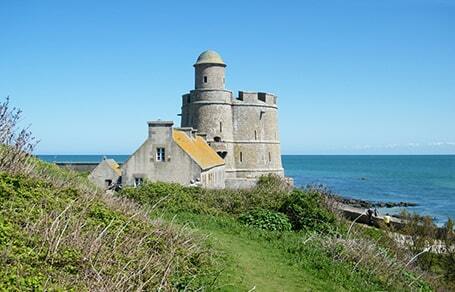 See our holiday rental prices: pitches or rentals, there is something for every taste for every budget.  Enjoy your stay in Normandy visiting our region.